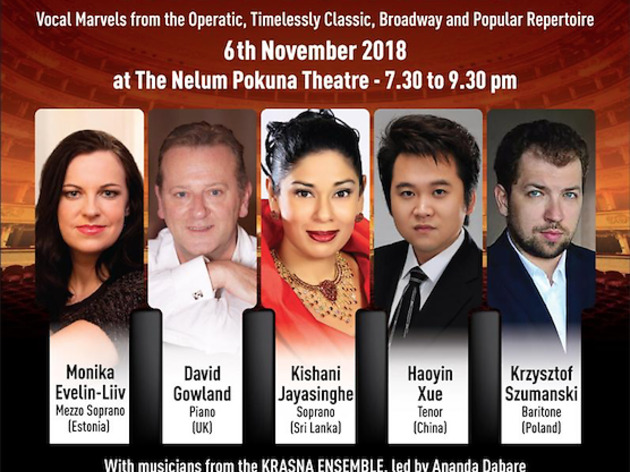 Enjoy an enchanting evening of music with vocal marvels from the operatic, timelessly classic, broadway and popular repertorie. 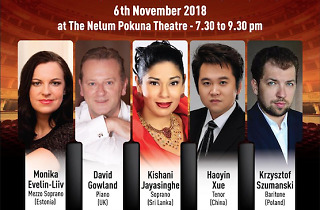 The festival will feature Monika Evelin-Liiv, David Gowland, Kishani Jayasinghe, Haoyin Xue and Krzysztof Szumanski with musicians from the Krasna Ensemble, led by Ananda Dabare. A line-up of free masterclasses with world renowned artiste, David Gowland, Artistic Director of the Royal Opera House will be held at various venues.